Heart Puzzle - 5.5 oz. 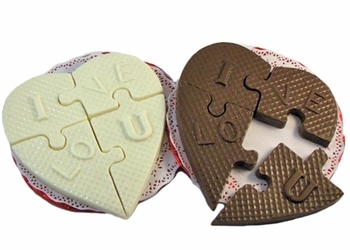 We bet you can't take this puzzle apart and put it back together again before giving into the temptation to take a bite! It comes in milk chocolate or white coating (like white chocolate).